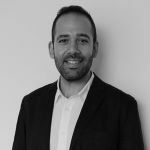 Tarek Katramiz joined UNU-IAS as a JSPS-UNU Postdoctoral Fellow in September 2018. He is a member of the Governance for Sustainable Development (GSD) Project, which focuses on implementation mechanisms and governance of the Sustainable Development Goals (SDGs). His research focuses on the interplay between Energy (SDG7) and the other SDGs at the regional and national levels. Before joining UNU-IAS, he earned a PhD in Media and Governance from Keio University in 2017. His doctoral thesis was based on extensive fieldwork that examined the complexity of risk understandings among residents of nuclear power plants in Japan. Through the lens of 3.11 and its aftermath, he investigated residents’ viewpoints on the nearby nuclear power plant, notions of trust and responsibility, sense of place, and the factors associated with community acceptance of the facility. His research results were published in a number of academic journals, and he has presented his work at various international academic conferences. Fluent in Arabic, English, and Japanese, Dr. Katramiz has carried out various research and consulting assignments with the Japan International Cooperation Agency (JICA), the Japan Foundation, and Keio University, among others. His professional experience has involved working closely with Japanese consultants, NGO staff, local communities, and government officials on projects related but not restricted to energy infrastructure, environment, and sustainable development.